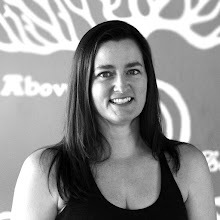 Since starting down the path to becoming a Baptiste certified yoga teacher, I've achieved my 200 hour RYT, attended Level One training (Menla 2016), and most recently completed The Art of Assisting at Hot Spot Power Yoga, Jacksonville FL with Brooke Hamblet from Indigo Yoga, Fort Worth TX. The weekend intensive training began at 9 am Saturday morning, once all of us came to our mats. Brooke covered the information we would learn as well as outlined the promises she was making with our group and asking us to hold her accountable to these promises. You will assist a full Journey Into Power practice using the Baptiste yoga techniques for team assisting. You will have a new experience of connection with others and being of service. You will have a rich understanding of True North Alignment and how to put it into action through hands on assists. You will discover that using the Art and Master of Baptiste yoga (Look, Listen & Give Tools) can effectively make a difference in a pose and the practice. A light touch, usually performed with fingertips on skin to indicate direction and impact form. A partnership to change the bone structure of the pose, usually performed with a C-shaped hand and can include other body parts lending support to impact alignment. in space) for the end result of new training in the muscles of a body. It can result in added stability. Examples - Bracing student's hips in Revolved Crescent Lunge, side to side assist in Half Moon, pressing the outer edge of the student's foot down with your foot to ground their foot in Warrior One, Warrior Two, Triangle etc. As a group we were led through the Journey Into Power sequence by Brooke while the Assisting Team from Hot Spot provided us all with assists throughout our practice. Brooke called on us to observe how the assists were being given, how the assistant held their body while assisting and observe how the assistant entered and exited each student's personal space. Yoga students don't typically directly observe the process of assisting, instead the student is focused on setting their drishti (gaze) on something that isn't moving and maintaining a smooth, even ujjayi breath. This first practice gave us all the opportunity to come to our mats as beginners again, as we were now observing and participating in a yoga sequence in a new way. Immediately following the JIP flow, we then broke up into pairs and then observed Brooke as she showed us an assist for each pose in the first two sections (Integration, Awakening). We'd switch places and give each other several tries at assisting each pose, providing feedback to our partner on how the pose landed with us (not enough pressure, too much pressure). We'd practice a section of JIP assisting with our partner and then switch to a new person we'd not met and then continue learning the assists for the next sections of the JIP flow. Sunday morning we began our practice in silence and were led through a guided meditation. Following the meditation practice, we had the opportunity to share with the group our experience during the meditation practice and what came up for us during the practice. We moved on to the final sections of the JIP flow, learning more assists and seeing how the basics of observing/assisting the feet, hips, hands carried over into many of the final poses of the JIP sequence. Actions of artful assisting (Maintaining True North Alignment while assisting, establising one's presence on the student's mat, entering and exing the student's space gracefully. For our final "test" we paired off into 1s and 2s. When we returned from lunch break, the 1s had placed their mats in the center of the room, within the taped boundaries on the floor (read: really close together) as instructed by the Assisting Team. The 2s were instructed to find a 1 and join them standing at the back of their mat (the student standing at the front of the mat). The sudents (the 1s) were then led by Brooke through the JIP flow. Brooke would call 'switch' for the 2s to switch to the next student in the row. Once the 2 reached the last student at the end of a row, they moved on to the first student at the beginning/end of the next row. This way of moving from student to student assisting their practice is called 'typewritering' so that each student receives an assist during the class and the flow from student to student is orderly and fluid. When the practicing students (the 1s) reached savasana, the 1s then became the assistant team and worked with the new students (the 2s) on their mat so that each of us had the experience of assisting one another and each of us had the experience of being assisted through the JIP flow. When the teacher presses their hands into the hands of the student in downward facing dog to ground them in the pose, this is considered an empowering assist. The final practice was designed to be stressful for us who were learning the typewritering method and navigating closely placed mats all while listening for the key word "switch" to move to the next student's mat. Diving right in and putting a new skill to practice in a safe environment where it is ok (expected even) that you'd make mistakes is a wonderful way to learn. The point was to allow us to make mistakes in a learning environment rather than having our first mistakes be in a classroom with actual students. Attending a weekend workshop like the Art of Assisting gives one the opportunity to make mistakes and be messy with learning new skills in an environment that is safe, non-judgemental and empowering. Each of us had many opportunies to learn, practice, offer feedback and receive guidance in a group of people who went from strangers to champions for each others' success in a matter of a few hours. Many thanks to Jon and Leah Hansen (owners of Hot Spot Yoga) for holding this workshop at their studio and for having Brooke Hamblet to lead our group through learning the Art of Assisting. I now have the ability to confidently give assists to my students while leading them through the Journey Into Power sequence and I made dozens of lifelong friends in two days' time!